Our law firm’s Business Transactions practice offers a variety of attorney services to start-up’s, private companies, inventors and entrepreneurs in Chicago and throughout Illinois. Our business lawyers in Chicago routinely advise clients on a wide range of business transactions, including: Illinois business organizations, business reorganizations, business formations, breach of contract, business litigation, trademark registrations, business contract development, mergers and acquisitions, business sales and purchases, estate planning, and business succession planning. We also serve many clients as outside legal counsel, providing advice and legal document preparation for varied commercial transactions. Our Chicago business attorneys work diligently with clients to gain a thorough understanding of their businesses and the business arrangements that are important to achieving the business’ objectives. Regardless of the size of the business or the complexity of business transaction, we strive to provide the highest level of client service, including insightful analysis on the day-to-day challenges and opportunities a company will face, responsive communication, committed advocacy, creative problem solving, and effective and efficient negotiation. With our legal experience in a number of corporate industries, our Chicago law firm is uniquely positioned to advise clients on the latest corporate terms and trends in connection with their business transactions. Our client service mission is simple: 1) to ensure our corporate lawyers are accessible, and 2) to always provide effective, responsive communication to each and every business client. In addition to ensuring our attorneys are accessible and responsive to all client communications, we provide our early stage and growing business clients with decades of combined business experience and legal expertise at affordable rates in our core practice areas of corporate law, business litigation, business contracts, mergers & acquisitions, trademarks, and estate planning among other practice competencies. Our Chicago corporate lawyers work tirelessly to make a positive impact on our clients businesses and often serve as outside counsel on an ongoing basis. We integrate the personalized expertise of a small law firm with the practical experience and resources of a large corporate law firm to provide our clients with the best legal representation possible. 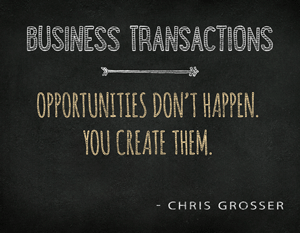 Business transactions are the essence of every company in any business industry. As noted above, our Chicago corporate attorneys often act as outside legal counsel to a number of our business clients in order to help them anticipate, address and resolve the day-to-day issues and opportunities in today’s ever-changing business environment. For more than ten years, our corporate lawyers have assisted clients in nearly every business industry, including technology and ecommerce, real estate, construction, health care, medical, retail and wholesale, human resources consulting, general business consulting, food and beverage, hospitality, education, health and fitness, construction, media and entertainment, manufacturing, and more. Our client service mission is straightforward: 1) to ensure our business lawyers are accessible, and 2) to ensure our business lawyers always provide effective, responsive communication to each and every business client. In addition to ensuring our corporate attorneys are accessible and responsive to all client communications, we provide our early stage and growing business clients with decades of combined business experience and legal expertise at affordable rates in our core practice areas. Our corporate attorneys in Chicago provide legal counsel to inventors, entrepreneurs, professionals and early-stage businesses in connection with a broad range of business transactions, including business organizations, business formations, choice of entity decisions, taxation, capitalization and ownership structures, buy-sell agreements, operating agreements, shareholder agreements, and trademark registrations and protection. We advise clients in the formation of limited liability companies (LLC’s), corporations (S-Corp and C-Corp), general and limited partnerships, joint ventures (domestic and international) and well as nonprofit corporations. The importance of llinois and federal trademark registrations are often overlooked by many entrepreneurs, professionals and early stage businesses. A business’ brand (name, tagline, logo, or other marks) inevitably become the most valuable asset of the business. A business’ trademarks should ALWAYS be addressed BEFORE the business is formed. There are several reasons why the business should address its trademarks during the early planning stages in order to determine whether the name, tagline, symbol or other mark is available for use. If these trademark registrations are not addressed during the early planning stage, the business may expose itself to a possible trademark infringement lawsuit or subject itself to a cease and desist letter from a disgruntled trademark owner. This must be avoided! Our trademark attorneys in Chicago have handled numerous trademark infringement matters whereby the client is ordered to either defend a trademark infringement lawsuit or re-brand the entire business. Whether the client must defend a lawsuit or re-brand the business, both instances will incur a significant expense and interruption of the business and create a huge headache for the business owner. Our Chicago trademark attorneys provide a wide range of trademark legal services to business owners and entrepreneurs in Chicago and throughout the United States. Our Chicago attorneys handle on average two to three business acquisitions every month. Depending on the business transaction, our attorney will either represent the seller of the business or the buyer purchasing the business. Business purchases and sales (also known as mergers & acquisitions) is one of our firm’s greatest strengths and is central to our firm’s core practice areas since its founding in 2008. A business acquisition may involve the transfer of a business from a seller to a buyer as a going concern, or more often is the case the transfer of substantially all of the business’ assets from a seller to a buyer. These business transactions often involve complex legal and financial issues and our business attorneys in Chicago are seasoned and well equipped to provide legal counsel during all aspects of the acquisition process. Breach of Contracts is the most common business transactions handled by our law firm. Several situations may give rise to a breach of contract claim. For example, a party to the business transaction may do something that violates a term of the business agreement; a party may refuse to perform its obligations under the business contract (such as delivering product or making payment); or a party may act (or fail to act) such that it makes it impossible for the other party to perform under the terms of the business agreement. All of these situations give rise to breach of contract maters which our business litigation attorneys in Chicago handle on a regular basis. Every entrepreneur, small business owner, or professional understands that business contracts are an integral part of the business world, and business agreements may be created in many forms. A thoughtfully drafted and properly negotiated business contract is truly the foundation upon which a business conducts its business. When a business owner forms a relationship with any third party, whether it is another partner, member, shareholder, vendor, consultant, supplier, or the like, an enforceable written contract is an absolute necessity. Without an enforceable written business contact in place, a costly disaster will likely ensue if a dispute arises between the parties. Our attorneys are highly experienced in developing and drafting business contracts in variety of business industries to ensure our client’s rights are protected. Our Chicago attorneys have significant experience in handling a wide range of business transactions in a diverse number of business industries. To schedule a consultation with one of our corporate lawyers today, please contact us online or give us a call at 312-789-5676. I understand the terms below. The use of this form for communication with our Chicago law firm does NOT establish an attorney-client relationship. This form is only to initiate communication between our business law firm and you. One of our corporate attorneys will contact you within 24 hours (1 business day) to discuss your legal matter and the terms of engagement.